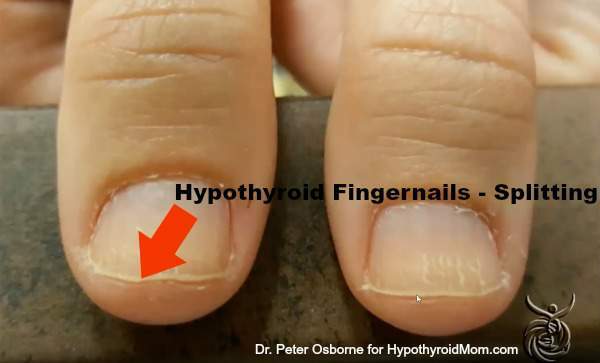 What is the proper diagnostic test to show if I have a thyroid problem or Hashimotos? My blood levels have come out normal from the regular doctor, but I have read that special tests need to be ordered sometimes because the liver or horomones can be preventing the absorption of the thyroid horomone and it would show up negative for a thyroid problem. I also am 52 and hit menopause at the age of 50. 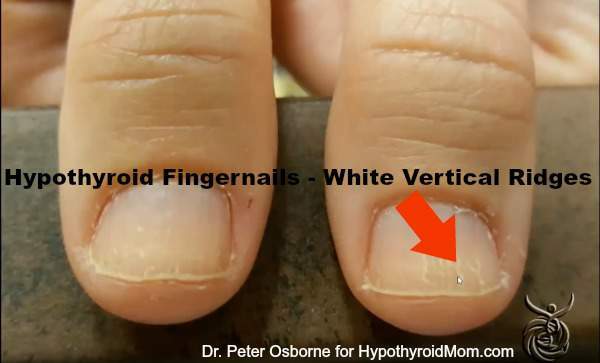 In addition I have gained about 40 pounds and my back is itchy alot and I think I have those ridges on my nails. I also have Raynaud’s where my fingers sometimes turn white, low circulation and often feel cold. What diagnostic test and type of doctor would you recommend? Hi Kim, There are two thyroid antibodies to test for Hashimoto’s – Thyroid Peroxidase Antibodies & Thyroglobulin Antibodies. Good to have you at Hypothyroid Mom. What can you take to help smooth the fingernails? My thumbs have ridges and they are growing now that I have switched to the methylated B vitamins. And they have started to smooth out and flatten down like they should be but what is reccommended? I am in the thyroid healing process of course but is there anything extra? You need to see an endocrinologist. Only if they are progressive and do some reading on thyroid conditions outside what they learn in Med school. My experience has been that they only want to get you on Synthroid and send you on your way. Tell you you’re fine if your THS is in the range THEY find acceptable. Find a Naturopath who will take all the appropriate tests and deal with your whole body balance. Just stumbled upon this website now. If you have never been tested for celiac disease (CD), please ask to have it done. CD, like thyroid disease is autoimmune (AI) and it is not unusual to have both. Raynaud’s also is AI. AI diseases go in groups. Most doctors think only those who lose weight can have CD. Wrong. Over 50% of CD patients are overweight. Why? Because they are not absorbing the nutrients from their food and are starving to death, so they eat and eat and eat to satisfy their hunger, so they GAIN weight. Find a good gastroenterologist who will do a celiac panel blood test who knows that sometimes the test can still be negative and will suggest an upper GI/small bowel biopsy to confirm whether you have CD. A great book to learn more by Dr. Peter Greene is Celiac Disease: The Silent Epidemic. How do I know? I was diagnosed with Grave’s Disease at age 15, but unfortunately was NOT diagnosed with CD until age 56! The sooner you get diagnosed and get the gluten out of your diet, the better off you are so you can avoid developing more autoimmune diseases. You might look into the ketogenic diet by Dr Eric Berg on youtube… This diet helps many women with this disease. Agreed. I have Hashimoto’s Disease and have been on a ketogenic for 6 months and I feel worlds better than before. My TAG still bounces around all over the map, but my aggravating symptoms have diminished greatly. I used to look at my grandmother’s ridges on her thumb nails and she also had a Dowager’s Hump. Now, today, teaching Thyroid Madness and authoring a book: Detox & Heal Your Thyroid (Amazon), I figured it out. My brother is dying of thyroid cancer, young adults males in my family are diagnosed with GAD, anxiety is an all time high. Our thyroid gland was poisoned by 5 primary ways. I cover that in extensive detail, as I helped people to heal for the last 34 years naturally. My business Naturally With Karen, is Original Medicine, a Shaman is far different from the doctor. Our people run to the doctor to have blood pulled out of their arms, and to the pharmacy for the next promising drug; most of which do nothing but complicate and produce further problems. There must be a Way of Life, which is what I have taught for many decades now. If we get off track, we get back on! All of us have times of self sabotage, feeling lower than usual, or more stress, we may impulse grab and eat, or not drink enough water, get enough sleep, but the American culture is suffering as a whole with a thyroid epidemic. There is no mystery, it’s all right before our eyes and written in our history. It’s in my book. I served real people with real problems and brought real solutions! I also solved my own, from Asthma, allergies, endometriosis, infertility, miscarriage, and finally, a diagnosis of Ovarian Carcinoma. I healed them all. I had one surgery in my life when with what I know today, I would not have had to do that either. I was taught by the Grandmothers and today, at 56 I teach, guide and feed people! We just needed the ingredients to be well! Often, it is minerals, a detox, and all of that is provided in my book! Loving your comment. Hopefully will love your book too! am still on synthroid but am feeling much better when eating well. am still on synthesis but am feeling much better when eating well. Does everyone have some antibodies or only those with hypothyroid? My doctor recently tested me for antibodies and my results were in the “normal” range. Does that mean normal for everyone or normal for someone with hashimotos? He said I don’t need to come back for a year…. Hi there, there is about 5 % of the hypothyroid population that never have anti-bodies that are measurable. You can be one of those. Did you have both antibody tests done? My daughter is experiencing the same kind of health issues. She got her period at 13, and is now 15 but has only had maybe 5 or 6 periods in that time. She’s gained about 30 pounds also. She too has bad acne and is struggling lately with her attitude. I am hypo but doctor did a panel on her and it all comes back negative. He doesn’t know and seems to not be too concerned. When you said you took your daughter to the “clinic” are you talking about a naturopath? I wonder if there would be more of a sense of urgency with a naturopath? Ia glad to hear you have figured out the issues with your granddaughter and hopefully she’s on the mend soon. Have also invested in essential oils. Just make sure they are kinda to ingest. I mix mine with coconut oil and mix it in a smoothie or in some unsweet coconut milk. Anyway, there are lots of expensive programs out there I know and it can get very confusing. If you have a NP in your area look them up. I was fortunate to find one and love them. But the ultimate candida diet is a start for those who want good recipes that help to heal the body. I love the diet, the natural supplements and the essential oils. There is also an elixir called tyovu. It is for thyroid and adrenal. I have read that some take this with their supplements or synthroid or whatever they are on. Most start with 1-3 drops. Yes that’s right 1-3 drops that’s it. It’s an energized water but I am here to say that I have taken a toxin cleanser and a parasite elixir that’s energized water and it works! My entire family have been on the parasite elixir and all have done great and have killed some critters! The same place with tyovu has all of this as well. The people are in Alaska but they are wonderful with customer service. Any question or symptoms at all they answer questions promptly. Anyway, that’s my two cents. An NP can help more so than me! Just wanted to share my experiences. Sorry should’ve posted…. Children can take the elixirs as well. They would give instructions as to how much. She probably has PCOS (polycystic ovarian syndrome). I was diagnosed at 14 when it was a fairly new condition (in my 30s now). I was overweight, had acne, insanely painful periods that were sporadic (and then doubled to two a month). It’s easy to diagnose. She would feel so much better with a diagnosis. You need to request to see an endocrinologist. I feel ya, I have had Hashimoto for yrs now. I also have degenerate disc disease with pinched nerves, my fingers feel like a constant bee sting, I fell apart at 40.. I had been on Levothyroxine for years still had no motivation, wanted to sleep all the time I finally about 4 months ago ask my doctor to put me on Armour Thyroid and I can honestly say I feel so much better still tired at times but not like I used to be..
Hi Kat does the Amour thyroid help you more than say Synthroid? I’ve been on levothyroxine and now I’m on Synthroid. I’m losing weight and hair and generally feel like doing nothing at all. I also have fibromyalgia. All this garbage started with hormones and starting my period at 11 yrs old. I hate it. Please Don’t feel like you’re alone. I too have thyroid and fibromyalgia and levothyroxine didn’t work for me. synthroid was the only thing as for my nails, they look the same as the pictures.brittle, cracked and just terrible. I hope you find help with your meds. Look into Thyrovanz. There is a facebook group as well to help you. I switched last march from levothyroxine to thyrovanz. Best thing ever. So far i have raised my basal temp a full degree. I feel so much better. My fingernails fit all of your descriptions. I am 79 yrs of age. 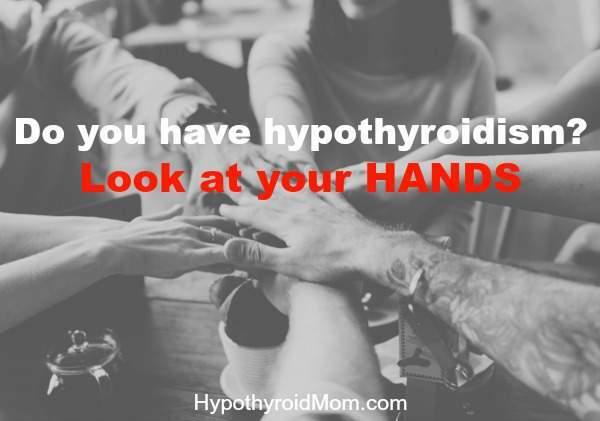 I was finally diagnosed with hypothyroidism at age 38 after suffering for many years. I think I need more than the usual tests. 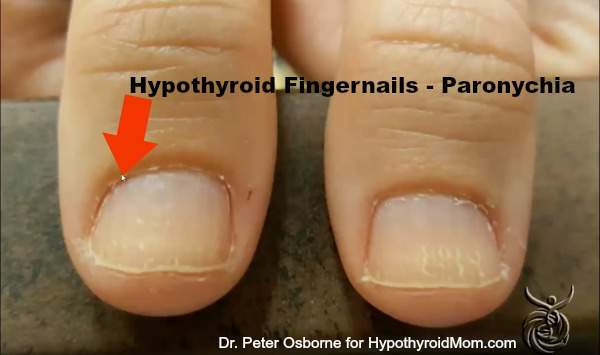 What do you do to correct the nail symptoms if you had you thyroid completely removed? Did you receive an answer yet? I can’t find the link to enter the contest. I can really use these supplements as I am struggling with hypothyroidism and the non ending medial related bills. I am sure anyone who is on your blog is also in similar situation as I am. I still would like to take my chance and enter. I don’t know how because I can’t find the link and the 29th us around the corner.